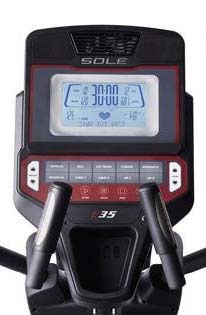 Sole E35 is one of the most popular ellipticals available on the market. You may be wondering how this specific trainer compares to others that are in the same price range. That’s what this review is all about. It provides a quick overview of Sole E35, what makes it unique, and why you should consider buying it. Unlike your typical elliptical, Sole E35 actually offers a full body workout. Its striding movement can be controlled via both the handles and pedal motion which allows you to use your upper body such as shoulders, chest, and arms as well as lower body to get a workout. Read More: Elliptical vs Treadmill: What’s the Difference? It has a heavy 25-pound flywheel that offers a natural, very smooth elliptical cadence. Its multiple adjustable features allow this elliptical to fit a variety of body types. Its adjustable stride length goes from 20 to 22 inches. Resistance levels are 16. The adjustable incline can go up to 30 degrees. Resistance and incline levels can be set with the push of a button which is located on the handlebars. The incline of this elliptical is power adjustable, which means you can easily change the intensity of your workout according to your preferences. E35 is equipped with 10 workout programs. Five programs are classics, these include Strength, Hill, Interval, Fat Burn, and Cardio. Two programs are controlled by heart rate while the remaining programs are manual modes. You can choose these programs and view your performance at a 7.5-inch LCD display screen. Newer models also feature Bluetooth capability that allows you to transfer your workout data to a smart app. E35 has built-in speakers that are compatible with MP3 playback. There is also a headphone jack. Furthermore, a built-in cooling fan and water bottle holder are also included in the design. E35 supports both wireless and touch heart rate monitoring. You can use the elliptical’s handlebars as well as a chest wrap for heart rate monitoring. The elliptical comes with lifetime warranty on frame, 5 years warranty on parts, 5 years warranty on electronics, and 2 years warranty on labor. A stride length of 20 – 22 degrees to accommodate a considerable variety of shapes and sizes. Eddy Current Brake (ECB) system of 16 resistance levels adjustable at with a button located on the multiple grip positions handlebars. A heavy flywheel made of aluminum. “Whisper Drive” to guarantee frictionless resistance and for noise reduction. Adjustable controls of up to 30-degree’ incline. Heart rate monitoring located on handlebar grips. Added chest strap for hands-free. 2 degrees’ inward slope fully adjustable foot pedals to match natural form and guarantee reduced ankle and knee strains. Packaged with a built-in cooling fan to prevent overheating and keep the user cool throughout workout session. Comes with a water bottle holder. Six rubber floor rests for stability to floor grip and immobility (that is, the machine won’t shift or move while being used. Supports up to 375 lbs max user weight. 7.5-inch LCD screen, backlit and tiltable. Ten workout programs; six pre-programmed workouts, two allowed user-defined programs and two heart rate programs. Up to two user profiles. Built-in speakers and attachment for iPod® or MP3 player plug-ins. Display workout data parameters including speed, incline, distance Travelled, pace, time, pulse, calories burnt. The Sole E35 Elliptical is a slightly above entry level fitness machine great for novices and intermediate exercise enthusiasts who want to enjoy comfortable low-impact workouts without putting too much strain on their bodies. The machine which was updated for 2017 use, is more tech-savvy than the 2016 model. The 2017 version of the Sole E35 has a smart tablet holder and a sound system that plays music from iPods and other MP3 players. Additional eye candies include Bluetooth connection, as well as data syncing with mobile fitness apps. The available ten training programs are displayed on its 7.-inch LCD screen and can also be routed to the user’s mobile device via Bluetooth or data syncing with mobile apps. Users can choose from options such as weight loss workouts, manual mode, heart programs, and muscle training regime. Users are also enticed by customized workout programs which can be saved to two user profiles. The data synching feature allows users to be able to use their preferred mobile apps to work out and save their stats for sharing when programs are chosen through the Sole Fitness app on a smartphone. 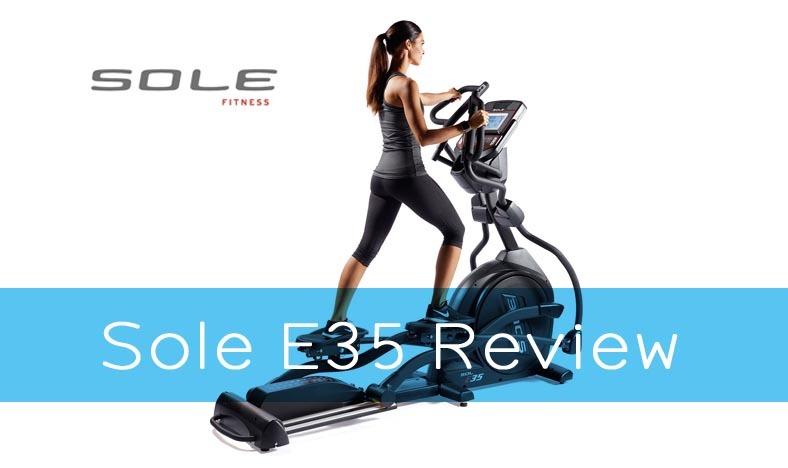 The Sole E35 has one of the most attractive warranties in the business and backed by five years on electronics and parts, a lifetime warranty on the machine’s frame, and two years on labor, it eclipses all the other elliptical machines warranties warranty-wise. Also, excepting residents of California or Utah, Sole Fitness has a no sales tax promotion on offer on all orders. Along with customer care and after sales installation services, customer service is available via email or phone for additional help like DIY assembly tips. You can purchase Sole E35 elliptical from Sole Fitness’ official website. They offer free shipping. There, prices are updated on regular basis and as the product’s manufacturer, Sole makes sure that they are never out of stock. So, the availability is also a good reason to buy the elliptical from the official website. Another place where you can buy Sole E35 is Amazon. Amazon is a great option due to its wide range of shipping and payment options. 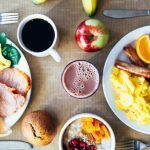 If the product is on sale on the official website, then it is likely that you will find it at a discounted price at Amazon as well. Product availability is the main concern when you are purchasing something from Amazon. The sale price of Sole E35 is currently $1,399. Before the sale started, it was being sold at about $2,599. So now is the best time to purchase it. As compared to other ellipticals of Sole Fitness, E35 offers the best value for money. Sole E55 is also on sale these days. Its discounted price is $1,499 (initially, it was $2,699). 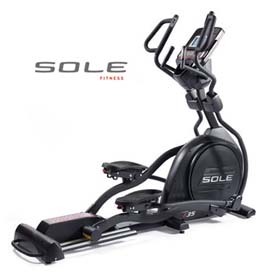 Sole E95 is another popular elliptical from Sole Fitness that is also on sale nowadays. Its discounted price is $17,99 (initially, it was $3,399). Currently, there are no coupons available on the official website. You may find coupons for E35 on other online stores or websites. However, it is recommended that you buy it from Amazon. It is well worth the cost. Sole E35 features a 7.5-inch LCD display while E55 features a large 9-inch LCD display. E35 has a heavier flywheel (25 lbs.) than E55 (20 lbs.). Sole E55 is lighter and more compact than Sole E35. E55 has some additional heart rate monitoring features that are not available on E35. 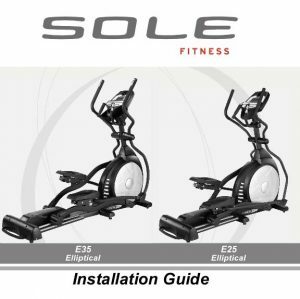 For instructions regarding the Sole E35, you can either search the Internet or read the manual that comes with the elliptical. You will learn about the safety, operation, electrical, and transport instructions regarding the elliptical. After reading the manual, you will know how to assemble the product. The manual will teach you how to use elliptical’s normal features and programmable features. It also contains instructions regarding how to use the heart rate monitor. General maintenance tips are also included that will help you keep the elliptical running optimally. Good resistance with its 25-pound drive. A high number of challenge levels to the newcomer and intermediate user needs. You are a heavy guy and want to purchase a reliable elliptical. Sole E35 has maximum weight capacity of 375 lbs. so it won’t shake at all whether you are thin, fat, short, or tall. You are looking for an elliptical that runs quiet and smooth. Thanks to 25 lbs. flywheel and quality build, E35 is quiet and smooth in operation. You want to purchase an extremely well-designed elliptical at a reasonable price. You are looking for an elliptical that is equipped with top-notch features. You want to buy an elliptical with a decent heart rate monitor. In conclusion, Sole E35 elliptical is an outstanding machine for full body workouts. It is equipped with many useful features and is reasonably priced. The elliptical’s large flywheel, stereo speaker sounds, variable resistant levels, large and bright LCD, etc. make E35 an elliptical that is certainly worth checking out.